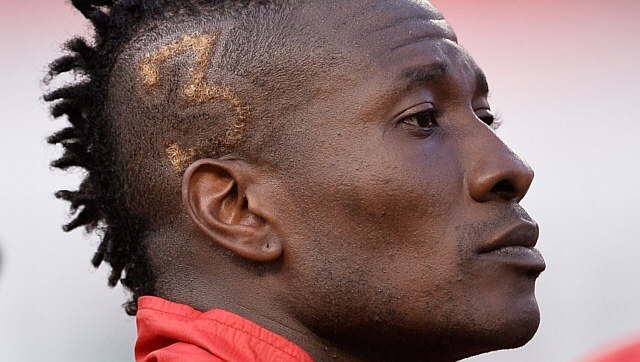 Asamoah Gyan will arrive in China on Wednesday to seal a mega deal with ambitious Chinese side Shanghai SIPG according to Ghanasoccernet. ESPN reported last week of the interest of the Chinese side managed by ex-England boss Sven Goran Eriksson in Ghana's record goal scorer and Al-Ain seem to have made up their mind to cash in on their most valuable asset. Shangahi SIPG see the signing of Gyan as the perfect answer to crosstown neighbours and perennial power house Shangai Shenhua who have acquired Senegalese goal machine Demba Ba and also parade Australian legend Tim Cahill in their front line. Gyan,,will reportedly put pen to paper on a deal said to be worth a whooping $250,000 a week,making him one of the best paid footballers in the world. Gyan has scored over a 100 goals in four seasons in the Emirati league while helping Al-Ain to two league championships .